Los Angeles is constantly vibrating at a high frequency. The sounds, colors, and conversations can be so exceedingly stimulating that sometimes I find my thoughts escorting me to another planet. This alternative world is warm, not dry like L.A. but humid and romantic like a shipwrecked Island in an old movie. You have all the time you need but there is absolutely no tolerance for stress or anxiety. I was sure this place existed only in my yearning consciousness, that is, until I got an invitation from Gansevoort Turks + Caicos for a five-day getaway to an unfamiliar island. I eagerly packed the essentials; ready to explore and create with my partner in crime and photographer Vivianne Lapointe. We left L.A. bright and early with a same day arrival on the Island, warmly embraced by the powerful turquoise ocean. The Gansevoort Turks + Caicos offers a level of relaxation that we hadn’t experienced before, located right on Grace Bay (also known as the best beach on the island) the white sand shore is your playground, backyard and therapy. Our thirst for adventure was quenched on day one with a lively boat ride to a tranquil deserted beach. We stopped halfway to dive for Conch that we would later enjoy ceviche-style. 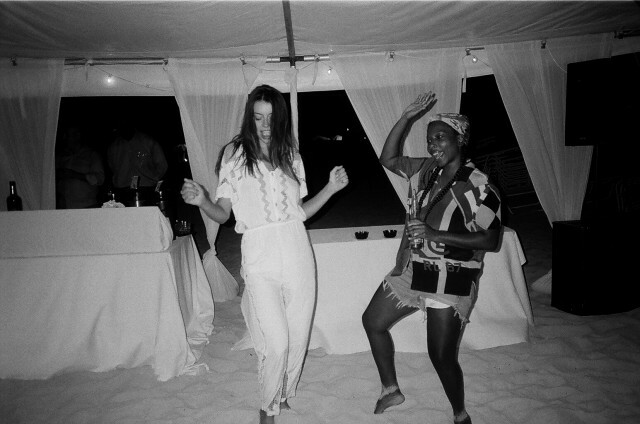 Rum punch in one hand, snorkel mask in the other, surrounded by friends and this song on repeat, this was our tangible heaven. Sun kissed and buzzed we arrived back at the hotel around 4pm, just in time to grab a pina colada and head to our Oceanfront Suite for a quick siesta. The rooms were contemporary and chic yet not pretentious and we felt right at home in the cozy king size bed, with the sun reflecting off the glass on the balcony I set my clock to Island time and drifted off. For those looking to keep their body in configuration with their mind, the hotel offers pilates, yoga and bar classes in their large outdoor fitness studio. 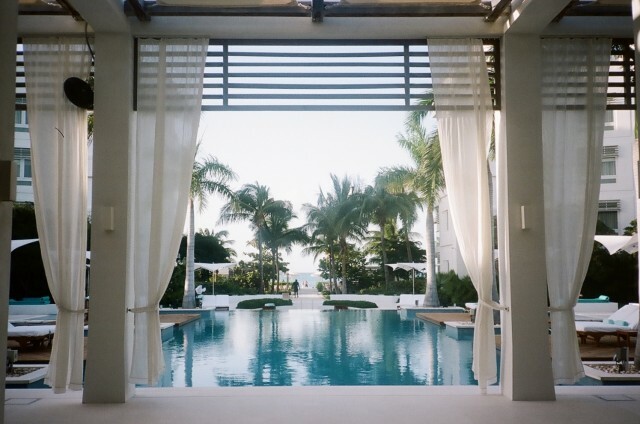 At Gansevoort Turks + Caicos we found our sanctuary. Realizing that my exceptional other planet existed beyond my imagination and was just a flight away, I left feeling comforted and grateful.